If anyone is interested in modeling the Warlock exotic helmet Light Beyond Nemesis I would really appreciate it, if not I have other things I can make. This website--->http://destinydb.com/items/2771018502-light-beyond-nemesis#1.MbVoXL8<---has a 3D viewer for the helmet for references and I can do my own unfold. Pm me if interested. Hey all, for everyone asking after files, sorry for not replying at all. I've been really busy with school and stuff. Hopefully I'll get some modeling done during winter break, and then next trimester I have a 3d modeling class, so I'll model tons then. Thanks for waiting everybody, I'll be working again soon. I have now begun modeling once more. I have one new file up for download right now, it's the Aegis shield from the Vault of Glass. Hope you enjoy that. Let me know if you requested one of these files and you no longer want it so I can remove it from my list. Take youre time and dont let anybody rush you. Most of us know that this isnt your first priority but thank you for doing what you can! I posted over on the pep request thread, but if you happen to be in the mood for taking another request (I see you already have a few on your plate as it is), but I'm looking for the Warlock helmet that has served as the base model for the "Nightwind" (alpha/beta and live-action trailer ), "Nerigal Savant III" (was sold by Ikora before the DLC inventory change) and is currently used for the exotic "Obsidian Mind" (which I would have to say is a must-have for any Voidwalker). I believe the Istanu-GNT Razor also build upon the base model with additional features to the top. I'm mainly just looking for the base model, which doesn't have the Istanu "metal mohawk" or the Nightwind/Nerigal trio of tubes on the back. It seems like that base is basically the the Light Beyond Nemesis base with a few lines over the visor. I think I'll be able to do that. When you do the ghost angel armor can you do the vault of glass hunters belt, shoulder, and shin pieces sense that ar part of the same armor? So you mean do the Vault of Glass pieces instead of the Ghost Angel for those parts? Okay, so starting with the first item on the list. I just got around to looking at my first helmet, and realized that it actually is pretty foam friendly. So that's done, next up is Ghost Angel/VoG armor for the hunter. Okay, update on status. Crimmson got a game accurate file for the Light Beyond Nemesis, so I skipped ahead and unfolded that. It's in the first post. UPDATE: Crimmson's Cowl of the Hezen lords has been unfolded, its in the first post. I know this one might be tough, and probably wouldn't work too well for pepakura, but have you considered making a model of Thorn? I'm more interested in something that's 3d printable. Thanks for doing all this! Yep I'm starting work on it, but break's over so I've got school too. Anyone have the file for Sword of Crota? What are you planning on making it out of? I made mine out of foam and I was able to free hand draw and cut it from some resource images. Hey elusch99, do you have any plans on making the Crota raid gear any time soon? 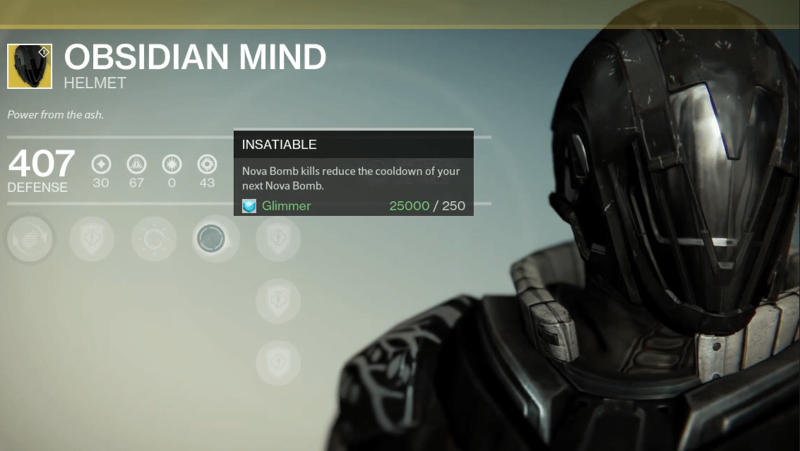 Crimmson has also done the "Obsidian Mind" that I had asked about, so that's taken care of. Working on the unfold for it and I think it's pretty close, just have to find the time to really finalize it (I can get a bit AR about where the flaps go sometimes).